Fort Worth native Joe Nick Patoski has wrapped himself around some of the state’s biggest icons: Stevie Ray Vaughan, Selena, Willie Nelson. But his latest book tackles an institution almost bigger than Texas itself: the Dallas Cowboys. Reading this epic, exhaustive biography is like driving across the entire state of Texas or eating a large pizza by yourself. At first your appetite is so strong you think you’ll get through this with no problem. And this trip doesn’t stay on the freeways, but often ventures into the backroads, where the real adventure is. But as much of a Texas historian as Patoski is, he’s not above dishing dirt, and this book tells you who stashed away secret families and bottles of office whiskey, among other peccadilloes. Still, about halfway through, you’re completely full. You can’t take another mile, another slice, another chapter. But then along comes Jones. When things start to drag a bit, like the Tom Landry Cowboys of the late ’80s, Jerry Jones comes aboard like an overconfident Arkie on a seniors cruise ship. He’s a fascinating huckster, the Colonel Tom Parker of sports, who paid too much for a team in 1989 that’s worth 10 times that amount today. Perhaps there’s one too many references to Jones’ “lizardlike” looks and personality, but Patoski backs the eccentricity with numbers that show Jones as a genius of marketing. The team’s $220 million-plus operating income last year was almost twice as much as any other NFL team. The 700-plus-page book opens with an awestruck description of the $1.2 billion Cowboys Stadium, “Jerry’s World,” to show how the team and its trappings played a role in the adage that everything’s bigger in Texas. But then the book quickly gets into its best stuff, the early years. We meet a couple of oil baron heirs, Clint Murchison Jr. and Lamar Hunt, who went head-to-head in the early 1960s with two professional football teams: Murchison’s Dallas Rangers, who would become the Cowboys of the National Football League, and Hunt’s Dallas Texans of the American Football League. Losing money with the AFL champions, Hunt moved his team to Kansas City and it became the Chiefs, named after KC mayor Harold “Chief” Bartle, of the super-sweetheart offer Hunt couldn’t refuse. You’ll hear football coaches recite that the three phases of football are offense, defense and, the one you might not think about if they didn’t keep drilling it in, special teams. The “special teams” of writing are the transitions between paragraphs, and if there’s a knock on “The Dallas Cowboys,” it’s a lack of smoothness between sections at times. It seems Patoski had to decide between making this writerly or full of anecdotes and observations that sometimes collide like linebackers, and he chose the latter. I grew up hating the Cowboys. 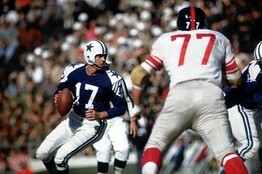 My favorite NFL team was always the one playing against the self-important jerks with the blue stars on their helmets. But after I moved to Dallas in 1992, something strange happened. Something I could not really put in to words, but Patoski does. The Cowboys are to Dallas what the beach is to a island resort. As a born-again Cowboys fanatic, I couldn’t wait to read about the team that converted me, with Aikman, Emmitt Smith and Michael Irvin on the field and Jimmy Johnson on the sidelines. But the part of the book I just couldn’t put down told of the building of the franchise. I’ve always heard the name Gil Brandt, but didn’t before know the depth of his scouting abilities and the role it played in the team’s rise. He’s one of the many reasons this team from the city wheere Kennedy was killed became such a national phenomenon. It’s all in there, often peppered with brusque commentary and corny Texanisms. That Patoski was able to write this book so soon after finishing his authoritative biography of Willie Nelson attests that this was a story that the author grew up with and added to during his two decades at Texas Monthly. Although more than 70 books and hundreds of articles are cited as sources, portions of the book read written first and researched later. He knew most of the story going in. He has lived in the Austin area, currently Wimberley, since college, but Patoski’s heart has never left the black prairie land of North Central Texas, where a team of football players gave it an identity, a sense of pride and community. This book couldn’t have been written by anyone else. Joe Nick Patoski has been writing about popular culture in Texas for decades. His work includes biographies on Willie Nelson, Stevie Ray Vaughan, and Selena. He has been a scribe for Texas Monthly magazine and freelanced for Creem, Rolling Stone, and The New York Times. Whether the subject is western swing music, barbeque, or water conservation, Patoski has the Lone Star State covered like a blanket. His latest work, as lengthy as a presidential memoir, is about how a football team and a city grew together, have somewhat grown apart, yet are inextricably linked. Professional football started in Dallas as the play toys for the sons of oil tycoons. Lamar Hunt, unhappy with his inability to purchase his own team, established the American Football League in 1959. His franchise, the Dallas Texans, began competing with the Dallas Cowboys for the hearts and wallets of DFW football fans in 1960. 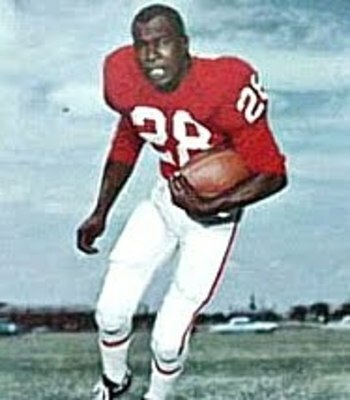 The Cowboys, founded by Clint Murchison, Jr., won the battle when the Texans moved to Kansas City in 1963 and were rechristened as the Chiefs. For decades, the operations of the organization were handled by Tex Schramm, the General Manager, and Gil Brandt, the Vice President of Player Personnel. The Cowboys were innovators in their use of computer statistical models to evaluate players and creating the eye candy known as the Dallas Cowboy Cheerleaders as a marketing tool. Tom Landry, the stoic, aloof coach, focused on game planning, substitution X’s and O’s for motivation. In the ‘60s, quarterback Don Meredith was as comfortable throwing touchdowns as he was chasing skirts in Texas honky-tonks or appearing on The Tonight Show. Meredith’s irreverence and Landry’s seriousness were never a comfortable pairing. As the book progresses, Patoski reflects on the growth and changes in Dallas. A segregated city with the dishonor of being where John F. Kennedy was assassinated, Dallas has always had a strange polytheism where capitalism, Christianity, and football are all equally worshipped and revered. The true sin in Dallas doesn’t involve who winds up someone’s bed or what goes up somebody’s nose – the only true sin in Dallas is losing. As the 1970s progresses, Roger Staubach became not only a two-time winning Super Bowl quarterback , but with his clean cut image also became a poster child for the National Football League. The Cowboys were branded “America’s Team,” as they were the squad that everyone either loved or hated. You could be apathetic toward the New York Jets, but everybody had an opinion about the Cowboys. The glory days of the team coincided with the expansion of the “Metroplex,” as DFW built a huge airport hub and became the headquarters for a number of business operations. 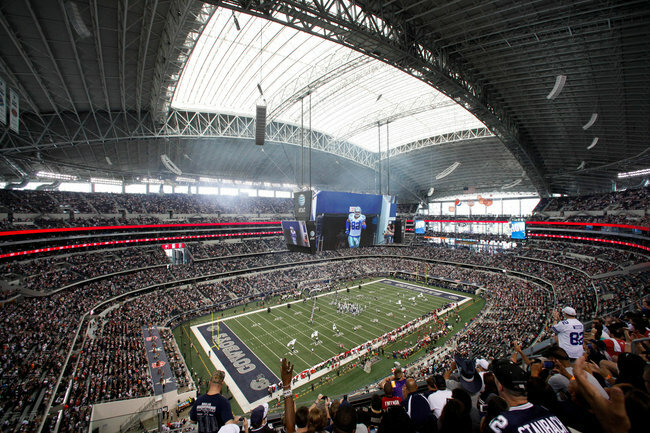 The team had also moved to Irving and opened the iconic Cowboys Stadium. General Manager Schramm developed a reputation as a ruthless negotiator that was able to pay bottom dollar for top talent. He was more generous with the funds when it came to parties for management officials. Ownership changed hands twice in the 1980s, with the cultural implosion arriving with Arkansas oil and nature gas tycoon Jerry Jones. Jones dropped Cowboy legend Tom Landry and the internal management team like a pair of dirty underwear, creating howls of disapproval. The thought of an obnoxious Arky owning the hallowed Dallas Cowboys was an unthinkable heresy, until they started winning again. Jones hired his University of Arkansas college football teammate Jimmy Johnson as coach and they quickly landed the best quarterback (Troy Aikman), running back (Emmitt Smith), and receiver (Michael Irvin) in the league. Johnson won two Super Bowls, but there was an inevitable ego clash between the perfectionist coach and the solipsistic owner. The workaholic Johnson was replaced by the hard partying, back slapping yahoo Barry Switzer, who had so much talent on hand that he even won a Super Bowl with the team. On the field, it’s been mediocrity or worse for the past fifteen seasons, but Jerry Jones has developed a new measuring stick for success. After opening a mega-stadium in Arlington, Texas, which can hold over 100,000 fans, and by taking corporate sponsorship deals to previously unimagined levels, the team is making more money than ever. The franchise is worth at least ten times more than the wildcat oil speculator paid for his vanity project. He has so thoroughly embodied the “Bigger is Better” Texas spirit that what happens on the field has almost become a secondary thought in the equation. In this book, Patoski has covered over fifty years of Dallas Cowboy’s football while deftly interweaving the history of the city and the popular culture of the area. It’s a compelling story that could only be properly told by someone as entrenched in Texas history as Patoski. Highly recommended. Joe Nick Patoski’s book reaches back to the mid-20th century, when the groundwork for the Dallas Cowboys franchise was laid, and beyond. Which makes the arrival of Joe Nick Patoski’s new book, “The Dallas Cowboys: The Outrageous History of the Biggest, Loudest, Most Hated, Best Loved Football Team in America” decidedly unexpected. A doorstop-size 800-plus pages, the book is less a sports story than a mixture of history and cultural analysis. In Mr. Patoski’s interpretation, the city and the sports franchise are inextricable; each allowed the other to grow and capture the national consciousness. Mr. Patoski goes on to illustrate how clever iconography (the Cowboys’ silver star logo); intriguing, elusive personalities (the quarterback Roger Staubach, Coach Tom Landry) and happy coincidence (the television show “Dallas” went on the air in the late 1970s, just as the Cowboys’ on-field fortunes were soaring) combined to make Dallas — team and city — into internationally recognized brands. The franchise, which was first established in 1960 as part of the National Football League, did give him access to historical scrapbooks at the team’s headquarters in Valley Ranch, documents he pored over and supplemented with the day-to-day newspaper coverage of the team. As thoughtful and well researched as “The Dallas Cowboys” is, one question remains unanswered: does the mythology of “America’s team” still resonate 16 years after the Cowboys won their last Super Bowl? According to John Parsley, who acquired and edited the book for Little, Brown, the publisher thought an audience would be drawn to this ambitious project. Although books like Mr. Patoski’s and Mr. Eisenberg’s are being published, and the television networks continue to see big ratings for Cowboys games, some long-term observers wonder if the franchise is simply running on the fumes of nostalgia. For stories, reviews, news and more, go to: texasmonthly.com. Cowboys Stadium in Arlington, Tex. Join me on Overheard with Evan Smith on Thursday night, Oct 11, 7 pm, on KLRU TV Channel 18 in Austin and other PBS stations across the nation. Or just click on klru.org/overheard/ to watch the complete broadcast and the audience Q and A afterward. Early on, “America’s Team” weren’t even the best squad in their home town. For years now “America’s Team” has been stuck in an unholy funk. The Dallas Cowboys’ record since its last Super Bowl victory in January 1996 has been barely better than .500: 132 wins and 128 losses. In the past 15 years, the team has won just a single playoff game. Neither the top payroll in the National Football League nor the construction of the billion-dollar pleasure palace known as Cowboys Stadium has helped produce a rebound. Yet it would be difficult to claim that owner Jerry Jones isn’t at the top of his game. Don Meredith quarterbacking the Cowboys in 1962, when the team went 5-8-1. Founded in 1960, the team did not enjoy a winning season until 1966. Think you’re a football superfan? Test your mettle against some of the biggest football superfans we found from college football and the NFL. We dig those Cleveland Browns dance moves here on WSJ Off Duty. Making one stadium home for both the New York Giants and the New York Jets requires an intricate changeover – from endzone logos, lighting, tee-shirts, banners, artwork – sometimes in just 12 hours. See the tricks used, including how the crew shuffles those 2,000-pound endzone trays. With ‘Off Duty’ Host Wendy Bounds. For all Mr. Jones’s notoriety, he is just the latest in a line of hardheaded businessmen who shaped Dallas football. John Eisenberg’s “Ten-Gallon War” tells the rough-and-tumble tale of how the Cowboys got their start and their short, heated rivalry with the AFL’s crosstown Texans (today’s Kansas City Chiefs), which lasted from 1960 to 1963. Neither franchise might have existed without the efforts of a young Texas oil heir whose self-effacing modesty masked a determination to bring pro football to his hometown: Lamar Hunt. Papa Bear’s retaliation was swift: The NFL announced that it would bring an expansion team to Dallas in 1960, under the ownership of another oil heir, Clint Murchison Jr. Where Hunt “almost seemed embarrassed by his money,” Mr. Eisenberg writes, Murchison was “a whip-smart risk-taker who, though shy, relished the excessive life of a Texas oil millionaire.” The battle for Dallas (along with the ploy to strangle the AFL in its crib) was on. From the beginning, most of Dallas’s business establishment rallied around the Cowboys and the imprimatur of legitimacy bestowed by the NFL. Both teams played in the Cotton Bowl, but the scrappier Texans offered up a better show. “When it came to football and sports in general,” Mr. Patoski writes in his epic history of the Cowboys, “Lamar out-innovated Clint.” Hunt devised outlandish marketing schemes to draw crowds to Texans games, stuffing free tickets into bags of Fritos and in balloons lofted over the city. But he also orchestrated a foresighted league-wide television contract with ABC, splitting revenues among the teams—an arrangement later mimicked by NFL commissioner Pete Rozelle. On the field, Hunt put together a franchise that could keep up with its AFL competitors: Texans running back Abner Haynes wowed crowds and led the fledgling league in rushing yardage and touchdowns while the Cowboys plodded far behind storied NFL squads, going 0-11-1 their first season. In the 1962 season, the Texans broke through and captured the AFL championship with a 20-17 double-overtime win against the Houston Oilers. But Murchison had already made clear that he was prepared to suffer as much red ink as was needed to see the team to success and run the Texans out of town. Hunt announced less than two months after winning the AFL title that his team was leaving Dallas: Eager to turn a profit and frustrated with lagging community support, he had been tempted by a sweetheart deal from Kansas City mayor Harold “Chief” Bartle. Years of low turnout and bumpy performances had not broken the resolve of the Cowboys’ leading troika, which consisted of Murchison, general manager Tex Schramm and coach Tom Landry. Landry had been anointed one of the nation’s best coaches during his years as defensive coordinator for the New York Giants, where he pioneered the 4-3 defense. When Murchison invited the Dallas sports-writing corps out to his private Bahamian island, Spanish Cay, in the spring of 1962 for a weekend of hedonistic fun, his guests looked on in awe as Landry detached himself from the party to sit and work on his playbook under the shade of a palm tree. Though not a few players and fans in Dallas snickered at Landry’s evangelical piety, they couldn’t help admiring his mastery of the sport. Murchison extended an unprecedented 10-year contract to Landry in 1964, at a time when many Dallas sports writers were calling for his head. The owner’s faith was rewarded in 1966 season when quarterback Don Meredith led the team to the NFL championship game opposite Green Bay. Though the Cowboys lost by a touchdown, Landry took home the league’s “coach of the year” award, and Dallas established itself as a force within the NFL. The Cowboys would win their first Super Bowl in 1972, two years after the Kansas City Chiefs trounced the Minnesota Vikings in Super Bowl IV. Mr. Eisenberg tackles the early histories of the two teams with enthusiasm, but it’s hard to match the thoroughness of the account presented by Mr. Patoski, a Texas institution in his own right whose previous works include biographies of Willie Nelson and Stevie Ray Vaughan. “The Dallas Cowboys” adroitly traces the ascendancy of the team while shedding light on its unique position today as an athletic, commercial and cultural powerhouse. Most of the credit for the Cowboys’ renown, Mr. Patoski shows, belongs to the irrepressible Tex Schramm, a PR genius who conceived of the Dallas Cowboys Cheerleaders and was painstaking in his management of the Cowboys’ image in the press. Behind the scenes—when he wasn’t negotiating the NFL-AFL merger with Hunt—Schramm was a hard-nosed executive who kept a tight lid on players’ salaries. Decades before Oakland’s Billy Beane imposed the rigors of statistical analysis on player selection in baseball, the Cowboys ventured out to San Jose in 1962 to recruit an IBM statistician who knew nothing about American football—Uttar Pradesh native Salam Qureishi—to discover a reliable quantitative tool to assist head scout Gil Brandt in drafting and keeping the best players. Qureishi’s computer stole undervalued late-round picks—among them, Roger Staubach and “Bullet Bob” Hayes —who would go on to lead the team to its five Super Bowl appearances over the course of the 1970s. Mr. Patoski takes as much care to recount those halcyon days as he does to narrate the downfall: Murchison’s sale of the ‘Boys to H.R. “Bum” Bright in 1984; off-field problems with the law among headline players such as Harvey Martin and Thomas “Hollywood” Henderson; and a string of bad seasons that led to the collapse of what Mr. Patoski calls the “First Regime.” When Jerry Jones swooped into Dallas to oust the poorly performing Schramm, Landry & Co., the sense of violation for some Texans was on a par with the Fourth Crusade’s sacking of Constantinople. Be that as it may, the mystique has never been more valuable. Mr. Jones, like his predecessors, knew a good investment when he saw one. —Mr. Dameron is a student at Yale Law School. Here’s a revelation that we found surprising: Joe Nick Patoski — author of The Dallas Cowboys: The Outrageous History of the Biggest, Loudest, Most Hated, Best Loved Football Team in America — does not bleed blue and silver. He grew up in Fort Worth and has a lifelong love of Texas football. But when it comes to the Cowboys, whose history he explores in a book that’s more than 800 pages, Patoski is no Crazy Ray. In fact, his first favorite team as a kid in the early 1960s was the Dallas Texans. “I was an Abner Haynes fan,” Patoski says. Today, he sees himself as just an “interested bystander” when it comes to Cowboys football. That said, Patoski has always found the “America’s Team” mystique and the story behind it to be thoroughly fascinating. That’s the real reason he wrote the book, which arrives in stores Tuesday. He’ll be at Barnes & Noble at the Hulen Shopping Center (4801 Overton Ridge Blvd., Fort Worth) at 7 p.m. Wednesday to talk football and to sign copies. Do I look like the jealous type? Well, I’m not. Sure, I’d love to have a sliver of Paul McCart-­ ney’s talent, charm and boyish good looks. I’d like to have his bank account too. But am I jealous of Paul McCartney? Not really. If I’m jealous of anyone, it’s Maria Sharapova’s lingerie consultant. At least that was the case until I received an advance copy of Joe Nick Patoski’s fantastic book, “The Dallas Cowboys: The outrageous history of the biggest, loudest, most hated, best loved football team in America” (Little Brown & Co., 2012). The more I’ve read, the more envious I’ve become. Envious and bitter and angry — angry because it apparently wasn’t enough for Joe Nick that I merely enjoy his book. No, I had to love it. I had to wish I’d written it. I had to wish I know what he knows, go where he goes. And I do. Snarky and spot-­on. Joe Nick’s achievement is particularly humbling because I grew up in Longview while the Cowboys were morphing from doormat to doomsday. I rode the roller coaster up and down, up and down, so I know the story. I’ve pretty much lived it. “The Cowboys’ problem is that they can’t stand prosperity,” my dad once told me, in one of his rare philosophical moments. He was as big a fan as I was, maybe bigger. After a Dallas loss, he’d tromp out to the garage, pop a Schlitz and the hood of the car and pre-­ tend to tinker with the engine until he sim-­ mered down in an hour or so. How my mom put up with this, I’ll never know. She tried her best to maintain a strict Catholic household, so cursing was, natural-­ ly, forbidden. But on Sundays, all bets were off. If Staubach tossed an interception or Bob Hayes bobbled a sure touchdown pass, then we could blurt “damn,” and that was OK. Mom didn’t like it, but she understood. Ap-­ parently, God did too. A loss ruined my day and generally the day after that. I watched the 1966 and 1967 losses to Green Bay, the Ice Bowl and Duane Thomas’ fumble on Baltimore’s goal line in the Blunder Bowl. I watched Bradshaw to Swann and Aikman to Irvin. I stopped watching — and caring — when Jerry handed the car keys to Barry Switzer, or at least I thought I had. Joe Nick’s book has rekindled feelings I thought were long dead. Fact is, I miss the Cowboys. I miss what we had: heart-­stopping ecstasy, gut-­ churning grief. It was real, visceral, atavistic. I miss caring. When Dallas creamed the Dol-­ phins in Super Bowl IV, I couldn’t contain myself. I sprinted up and down Whatley Road until I was exhausted. one, it’s likely to be the New York Giants, an organization that reminds me of the old Cow-­ boys. The coach resembles a stern Irish priest, and the owner doesn’t cast himself in pizza ads, shucking and jiving like he’s just rolled out of the hood in a bulletproof Benz. Not sure if you saw it, but it makes me miss Tex Schramm and Clint Murchison and Lee Roy Jordan. And it makes me appreciate guys like Paul McCartney even more. He has talent, charm, boyish good looks and a bil-­ lion or two in the bank, but most of all, he has class. I guess if I’m jealous of anything, that’s it. Well, that and Maria Sharapova’s lingerie consultant and, of course, Joe Nick too. 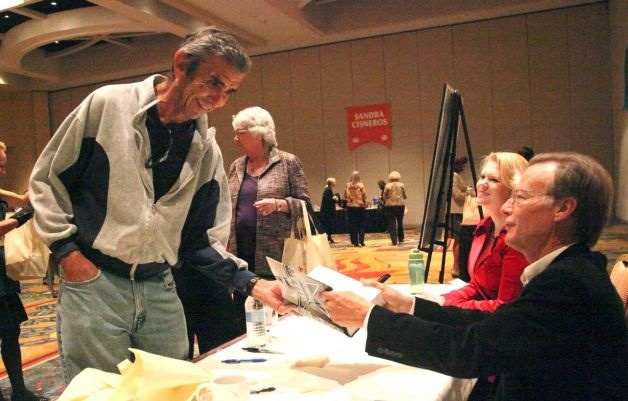 BOBBY HAWTHORNE is the author of “Longhorn Football” and “Home Field,” both published by The University of Texas Press. In 2005, he retired as director of academics for the University Interscholastic League.